What do Travis Zajac, Thomas Vanek and Ryan Callahan all have in common? They will all make more money than Islanders Captain John Tavares this season. 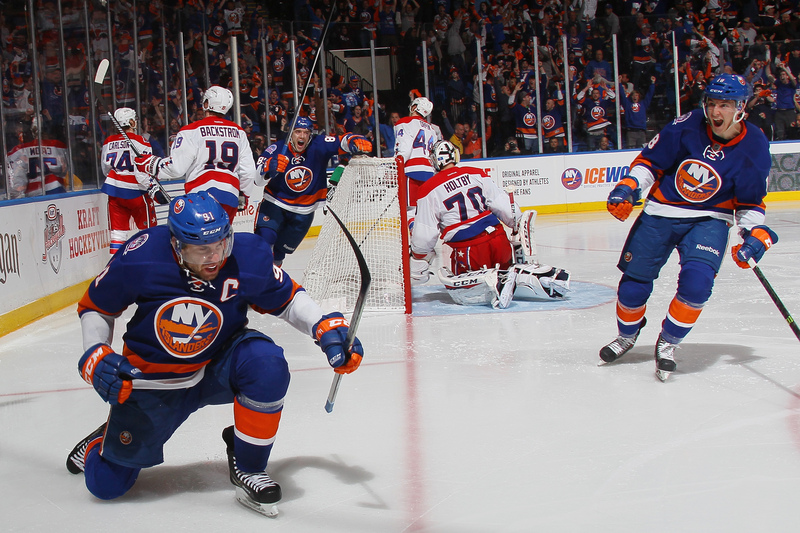 In fact, 60 NHL players will be paid more than the 6 million Tavares is slated to earn during the 2015-16 season. Listen, I think all Islanders fans know Tavares’ contract is a bargain, but I just didn’t realize how much of a steal it was until looking at the salary rankings of all NHL players for the upcoming season. The Islanders have one of the best players in the world making the same amount of money as Derick Brassard next season and they need to take advantage of it. Back in 2011, the Islanders locked up Tavares to a 6-year contract extension worth 33 million with an average annual value (cap hit) of $5.5 million per year. It’s hard to believe now, but at the time many questioned Tavares’ long term commitment to the Islanders, wherever they would end up playing. Always the centerpiece of the organization, Tavares believed in time, the Islanders would put the pieces around him to compete for a Stanley Cup. Without question, the talent surrounding #91 took a quantum leap forward last season, but how long will the window be open to keep adding top talent to this core group of players? Kyle Okposo is a UFA next season, looking at upwards of 7 million dollars a year. Matt Martin and Frans Nielsen are UFAs as well next summer. Garth Snow would like to lock up current and soon to be RFAs Brock Nelson, Ryan Strome and Casey Cizikas as well, but how do you keep paying and retaining all your top homegrown talent when your star player’s salary is going to nearly double in two years? When Tavares reaches Free Agency prior to the 2018-19 season, what will this roster look like and what success will the Islanders have to show for 6 seasons of his team friendly deal? The Islanders only have 4 players under contract when Tavares becomes a free agent. That most certainly will change, but Garth Snow has the difficult task of paying his superstar superstar money, while deciding which core players to give significant raises to and hoping current prospects can backfill the roster positions that will be left open. Jonathan Toews and Patrick Kane each have a cap hit of 10.5 million next season. As a result, the Blackhawks have been in an even worse version “cap hell’ than the one that led to Nick Leddy being traded to the island last season. Patrick Sharp and Brandon Saad were the cap victims this year, but Chicago has 3 Stanley Cups to show for their offseason pain and suffering while Tavares still awaits his first playoff series win. This may be a conversation for another day or a conversation for two years from now, but the perception is that the Islanders are an up and coming team with a young and talented core group of players that will all grow and learn to win together. While that all may be true, the amount of time the Islanders have to give one of the best players in the world the chance to play with the best team possible to win a Stanley Cup may be shorter than fans want to believe.